A continual stream of challenging movement accompanied by hands-on assistance and modifications to help your body bend that way! 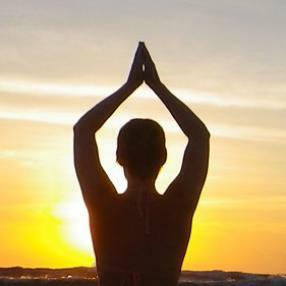 A mixed level practice with experienced teacher Bonnie Kendrick, includes pranayama and meditation. Good for beginners or those who are looking on improving their posture. Linking poses and breathing together in a seamless and continuous movement, Vinyasa Flow classes are integrating fluid sequences and offer a creative practice. These classes are intermediate and offer a medium pace practice with modifications for individual needs. Open to practitioners of many levels of experience, these classes will safely strengthen and stretch you in fun and exciting ways. Expect great music, graceful transitions between poses, and continuous flow with emphasis on healthy alignment. Instructors create a nurturing, safe and enjoyable class format that includes gradual warm up, standing poses, balancing poses, delicious floor and seated poses sprinkled with a couple arm balances or inversions. 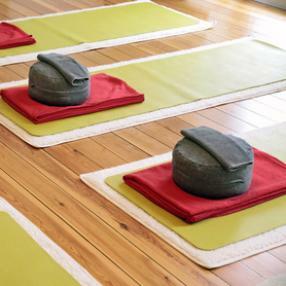 Each class includes a meditation at the beginning of class and presentation of dharma topics or wisdom teachings. Instructors will shed light on a particular technique or teaching, including an exercise that illustrates the topic. You will find your practice and your poses illuminated and leave your mat with new insight. Practitioners are encouraged to work at their own pace and find individual modifications for their needs.